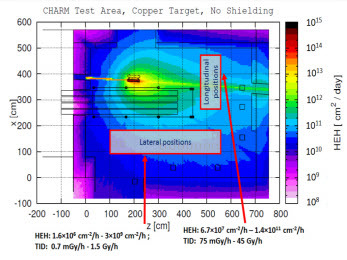 "Trigger Efficiency of a ZnS:6LiF Scintillation Neutron Detector Readout With a SiPM"
"A 2D Proof of Principle Towards a 3D Digital SiPM in HV CMOS With Low Output Capacitance"
"CHARM: A Mixed Field Facility at CERN for Radiation Tests in Ground, Atmospheric, Space and Accelerator Representative Environments"
"A Soft-Error Mitigated Microprocessor With Software Controlled Error Reporting and Recovery"
"New Insight Into Heavy Ion Induced SEGR: Impact of Charge Yield"
Comments by the Editors . . . . . . . . . . . . . . . . . . . . . . . . . . . . . . . . . . . . . . . . . . . . . . . . . . . . . . . . . . . . . . . . . . . . . . . . . . . . . . . . . . . . . . . . . . . . . Measurement and Analysis of Multiple Output Transient Propagation in BJT Analog Circuits . . . . . . . . . . . . . . . . . . . . . . . . . . . . . . . . . . . . . . . . . Technique . . . . . . . . . . . . . . . . . . . . . . . . . . . . . . . . . . . . . . . . . . . . . . . . . . . . . . . . . . . . . . . . . . . . . . . . . . . . . . . . . . . . . . . . . . . . . . . . . . . . . .
Heavy-Ion Radiation Impact on a 4 Mb FRAM Under Different Test Modes and Conditions . . . . . . . . . . . . . . . . . . . . . . . . . . . . . . . . . . . . . . . .
Multiscale Modeling of Accumulation of Radiation Defects in Silicon Detectors Under Alpha Particle Irradiation . . . . . . . . . . . . . . . . . . . . . . . . .
Optical Frequency Domain Reflectometer Distributed Sensing Using Microstructured Pure Silica Optical Fibers Under Radiations . . . . . . . . . . . 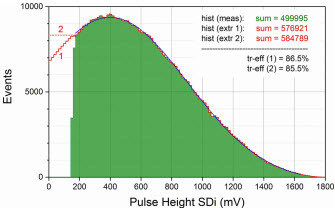 Dose Rate Effect Comparison on the Radiation Response of Type I Fiber Bragg Gratings Written With UV cw Laser . . . . . . . . . . . . . . . . . . . . . Radiation Response of Ce-Codoped Germanosilicate and Phosphosilicate Optical Fibers . . . . . . . . . . . . . . . . . . . . . . . . . . . . . . . . . . . . . . . . . Single Events in a COTS Soft-Error Free SRAM at Low Bias Voltage Induced by 15-MeV Neutrons . . . . . . . . . . . . . . . . . . . . . . . . . . . . . . . . . .
A Radiation-Hardened Non-Redundant Flip-Flop, Stacked Leveling Critical Charge Flip-Flop in a 65 nm Thin BOX FD-SOI Process . . . . . . . . .
Statistical Anomalies of Bitflips in SRAMs to Discriminate SBUs From MCUs . . . . . . . . . . . . . . . . . . . . . . . . . . . . . . . . . . . . . . . . . . . . . . . . . . . . . CHARM: A Mixed Field Facility at CERN for Radiation Tests in Ground, Atmospheric, Space and Accelerator Representative . . . . . . . . . . . . . .
Proton-Induced Single-Event Degradation in SDRAMs . . . . . . . . . . . . . . . . . . . . . . . . . . . . . . . . . . . . . . . . . . . . . . . . . . . . . . . . . . . . . . . . . . . . . Combine Flash-Based FPGA TID and Long-Term Retention Reliabilities Through VT Shift . . . . . . . . . . . . . . . . . . . . . . . . . . . . . . . . . . . . . . . . . . Flexible Ag-ChG Radiation Sensors: Limit of Detection and Dynamic Range Optimization Through Physical Design Tuning . . . . . . . . . . . . . . . Radiation Hardening by Process of CBRAM Resistance Switching Cells . . . . . . . . . . . . . . . . . . . . . . . . . . . . . . . . . . . . . . . . . . . . . . . . . . . . . . .
ISNP/GNEIS Facility in Gatchina for Neutron Testing With Atmospheric-Like Spectrum . . . . . . . . . . . . . . . . . . . . . . . . . . . . . . . . . . . . . . . . . . . . .
Impact of the Border Crossing Effects on the DCNU for Pixel Arrays Irradiated With High Energy Protons . . . . . . . . . . . . . . . . . . . . . . . . . . . . . .
Embedded Detection and Correction of SEU Bursts in SRAM Memories Used as Radiation Detectors . . . . . . . . . . . . . . . . . . . . . . . . . . . . . . . . Dark Current Spectroscopy on Alpha Irradiated Pinned Photodiode CMOS Image Sensors . . . . . . . . . . . . . . . . . . . . . . . . . . . . . . . . . . . . . . . . Evaluating the SEE Sensitivity of a 45 nm SOI Multi-Core Processor Due to 14 MeV Neutrons . . . . . . . . . . . . . . . . . . . . . . . . . . . . . . . . . . . . . 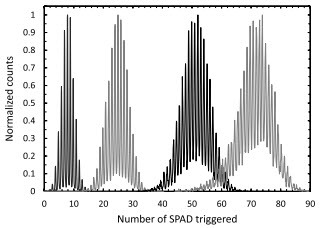 Predictions of Proton Cross-Section and Sensitive Thickness for Analog Single-Event Transients . . . . . . . . . . . . . . . . . . . . . . . . . . . . . . . . . . . . 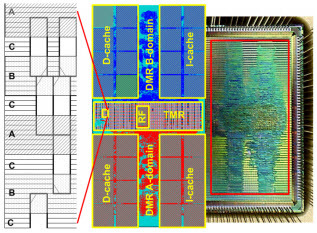 Reliability on ARM Processors Against Soft Errors Through SIHFT Techniques . . . . . . . . . . . . . . . . . . . . . . . . . . . . . . . . . . . . . . . . . . . . . . . . . .
Analyzing the Impact of Radiation-Induced Failures in Programmable SoCs . . . . . . . . . . . . . . . . . . . . . . . . . . . . . . . . . . . . . . . . . . . . . . . . . . . . . Reliability Analysis of Operating Systems and Software Stack for Embedded Systems . . . . . . . . . . . . . . . . . . . . . . . . . . . . . . . . . . . . . . . . . . . .
A Soft-Error Mitigated Microprocessor With Software Controlled Error Reporting and Recovery . . . . . . . . . . . . . . . . . . . . . . . . . . . . . . . . . . . . .
Semi-Empirical Method for Estimation of Single-Event Upset Cross Section for SRAM DICE Cells . . . . . . . . . . . . . . . . . . . . . . . . . . . . . . . . . . . .
Optically Stimulated Luminescence Analysis Method for High Dose Rate Using an Optical Fiber Type Dosimeter . . . . . . . . . . . . . . . . . . . . . . . . . The Effect of Low-Temperature Annealing on a CdZnTe Detecto . . . . . . . . . . . . . . . . . . . . . . . . . . . . . . . . . . . . . . . . . . . . . . . . . . . . . . . . . . . . . . 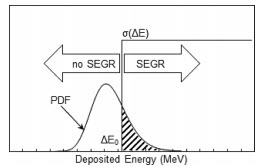 Measurement of Neutron Energy Distributions From p+Be Reaction at 20 MeV Using Threshold Activation Foils . . . . . . . . . . . . . . . . . . . . . . . . .
A 2D Proof of Principle Towards a 3D Digital SiPM in HV CMOS With Low Output Capacitance . . . . . . . . . . . . . . . . . . . . . . . . . . . . . . . . . . . . . . .
Design and Performance of the BCM1F Front End ASIC for the Beam Condition Monitoring System at the CMS Experiment . . . . . . . . . . . . . . .
Compaction in Optical Fibres and Fibre Bragg Gratings Under Nuclear Reactor High Neutron and Gamma Fluence . . . . . . . . . . . . . . . . . . . . . . Determination of Bandwidths of PWR-UO2 Spent Fuel Radionuclide Inventory Based on Real Operational History Data . . . . . . . . . . . . . . . . . .
Ionizing Energy Depositions After Fast Neutron Interactions in Silicon . . . . . . . . . . . . . . . . . . . . . . . . . . . . . . . . . . . . . . . . . . . . . . . . . . . . . . . . .
CMOS Rad-Hard Front-End Electronics for Precise Sensors Measurements . . . . . . . . . . . . . . . . . . . . . . . . . . . . . . . . . . . . . . . . . . . . . . . . . . . . . Influence of Alternate Biasing on TID Effects of Irradiated Mixed-Signal Programmable Arrays . . . . . . . . . . . . . . . . . . . . . . . . . . . . . . . . . . . . . .
Proton Recoil Telescope Based on Diamond Detectors for the Measurement of Fusion Neutrons . . . . . . . . . . . . . . . . . . . . . . . . . . . . . . . . . . . .